Who thought of Europe as a community before its economic integration in 1957? Dina Gusejnova illustrates how a supranational European mentality was forged from depleted imperial identities. In the revolutions of 1917 to 1920, the power of the Hohenzollern, Habsburg and Romanoff dynasties over their subjects expired. Even though Germany lost its credit as a world power twice in that century, in the global cultural memory, the old Germanic families remained associated with the idea of Europe in areas reaching from Mexico to the Baltic region and India. 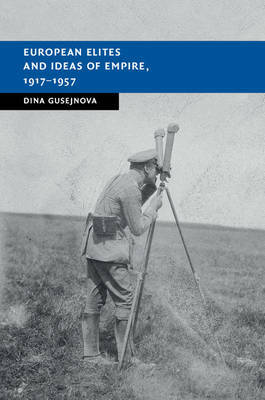 Gusejnova's book sheds light on a group of German-speaking intellectuals of aristocratic origin who became pioneers of Europe's future regeneration. In the minds of transnational elites, the continent's future horizons retained the contours of phantom empires. This title is available as Open Access.